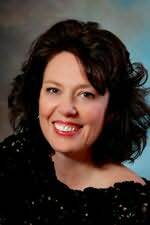 In 1991, Tamara Leigh graduated from the University of Nevada-Reno with a Master's degree in Speech and Language Pathology. After working in the school district for several years, she turned to her love of writing in order to remain home with her children. Her first novel, Warrior Bride, was published in 1994 and was followed by six more bestselling, award-winning historical romances for Bantam, HarperCollins, and Dorchester. Additionally, Tamara has written for Romantic Times magazine and been a guest speaker for WaldenBooks' corporate conference. Tamara enjoys time with her husband and children, volunteer work, faux painting, and reading. "Don't let the light-hearted cover and title fool you. Krista Phillips' spunky, rough-around-the-edges heroine may be 'tickle me' funny, but her faith journey offers more than a cute read. There is depth here, made all the more satisfying served up with a generous side of romance." "The Lacemaker proves yet another gift from the heart and faithfully deft pen of Laura Frantz. This tender romance breathes with faith, suspense, and the tragedies and triumphs of the human heart."